Be a calmer, happier you! Are Anxiety, PTSD, Fears or Phobias Ruining Your Quality of Life? Would you like to feel calmer, more secure and peaceful? 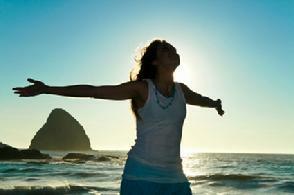 During Hypnosis you will be given suggestions to turn off the thoughts and images that create anxiety, panic and fear. The truth is most states of fear and anxiety are created in the mind. They become sub-conscious habit patterns that repeat over and over again, disrupting your sense of well-being. The good news is whatever is created in the mind can be "uncreated" or reprogrammed in hypnosis. Hypnosis will help you imagine how wonderful your life will be when you can say goodbye to those old fears and anxieties. This short video will demonstrate how hypnosis helped a woman overcome her irrational fear of driving. Please feel free to give me a call today for your FREE telephone consultation. Call Karen at 404-931-6356 or fill out the form below and I will contact you personally for your consultation.